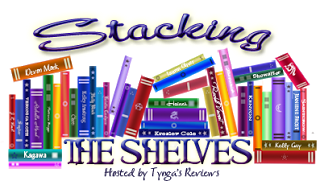 Laurie Here - Contemporary Fiction and MORE - Book Reviews: #StackingtheShelves #26! Plus blog updates and MORE! #StackingtheShelves #26! Plus blog updates and MORE! Wow! What an amazing week! It was GREAT! I got a LOT of new reviews written, and that felt SOOOOO GOOD!!! I can't tell you how GREAT it truly feels! It felt amazing to actually WRITE them! 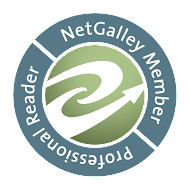 To those of you who I did not return your messages, email or other social media places, I'm sorry, but I was doing what a real book blog does! I read and wrote reviews! So that is why I did not, or could not get back to you. 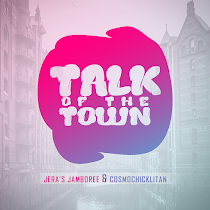 I usually answer ALL my messages ASAP, but I took the time TO BLOG! 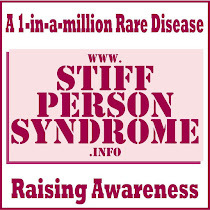 It felt like it did when my blog was brand new and there not ALL I relied on was email and I didn't have so many messages from so MANY different places like I usually do to answer from EVERYWHERE, EVERYWHERE I went on the internet!! I'll talk more about that for tomorrow's post. Social Media. I had a printer die on me this week! NO!!! It was the one attached to this computer. I found one online at Best Buy and my hubby went to go pick it up, and now that I FINALLY got it installed, ALL thanks go to The Geek Squad for that! I TRULY could NOT compute without The Geek Squad! I mean it from the bottom of my heart! They help me when my computer goes haywire, when it decides to update, but NOT in a good way, but screws EVERYTHING in my computer up! When that happens I grab the phone and called THE GEEK SQUAD!!! Do any of you have the Geek Squad? I NEED them! Let me know how you fix your computer when it goofs up! The Geek Squad is ONLY $100 for 2 computers, virus coverage, computer tune-up, and so MUCH MORE! Plus, plus, plus, THEY TALK TO YOU!!! THEY FIX YOUR COMPUTER!!! They ROCK!!! Okay - let's get to the books! ***BLOG UPDATES! I will have EVERYTHING that is going on HERE/AT MY BLOG posted HERE in THIS POST from now on EVERY SATURDAY! It makes it easier for everyone to make ONE stop HERE on the weekends! Thanks! Have a GREAT weekend!! HERE ARE THE BOOKS I GOT FOR REVIEW PURPOSES! 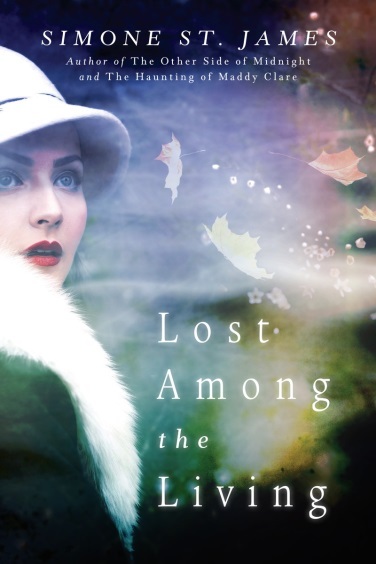 Lost Among the Living by Simone St James/Release Date 4-5! 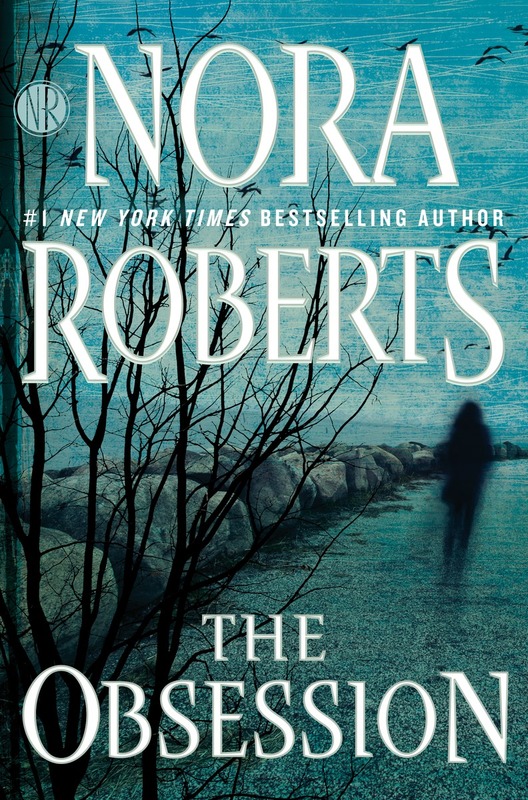 The Obsession by Nora Roberts (Her FIRST HARDCOVER!!!) GIVEAWAY!!! NEW RELEASE ON April 12th! 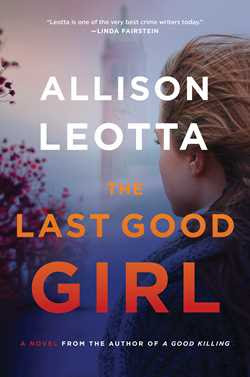 The Last Good Girl by Allison Leotta/NEW Release on May 3rd, 2016 AND this cover is NOT FINAL! It can change before it releases. This was offered to me by Simon and Schuster! 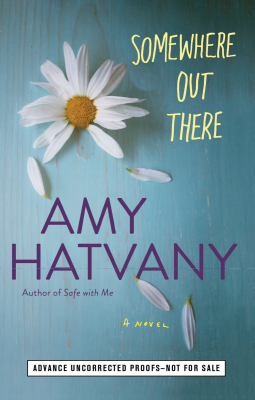 Somewhere Out There by Amy Hatvany - NEW Release for March 8th, (in a FEW days!) 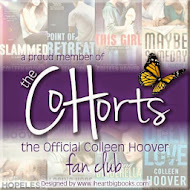 I LOVE, LOVE, LOVE this COVER!!! It's simplistic, yet says so MUCH at the same time! WOW! #1 HIT on my list! What do YOU think? 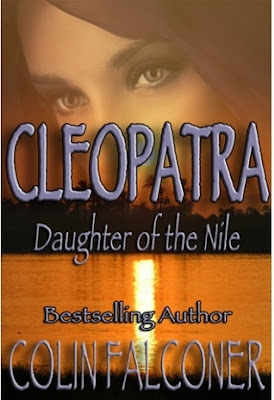 Cleopatra, Daughter of the Nile, by Bestselling author Colin Falconer - formerly published as WHEN WE WERE GODS - now it's NEW, revised and edited (ALLLLLLLL books should be edited!! That is my Pet PEEVE with Independent Authors. You cannot even CONVINCE THEM they NEED an Editor! Well, HERE WE GO! ONE INDIE AUTHOR WHO DID LISTEN!!! We'll see how well he can write? I LOVE Cleopatra and NEVER grow old of her many, many stories that are written about her! I'll let you know! 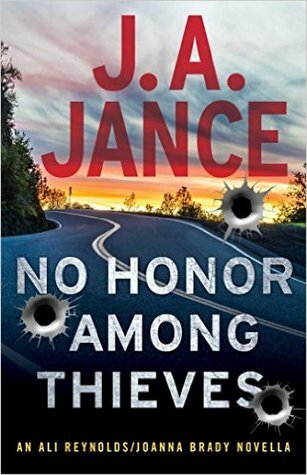 No Honor Among Thieves, A Novella, by J.A. Jance - I bought another of his books in a previous week too! I'll let you know if they are good or not! That's IT! For this week! LOL!!! So, till next week, I will be reading my bum off like crazy!!! See you then! Don't forget! 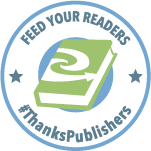 Go up to the TOP of this post and go to the Sponsor's site and have at the blogs to see the books THEY ALL GOT! Sometimes there are 100 blogs that link-up and show there book! It's amazing! HAVE FUN!!! I'm on my way to link THIS post up! It will probably be the LAST BLOG POSTED! LOL!!! I had to remove your Comment because it was "advertising". I do NOT SUPPORT FREE ADVERTISING on my blog because "I" do NOT advertise ANYTHING that earns monies on my blog. Even though you will see 2 or 3 ads from Google on my blog, I do NOT make ANY income from those ads. I am NOT signed up to earn income monies from those ads. I thought I at least owed it to you to let you know why I deleted your ad for your video game. Another reason I deleted the video game ad is that is what it is. I don't play video games, never have, and I don't know what your video game has in it. Some video games can be VERY graphic and I do NOT want that on my blog. Please respect my wishes from here on out and do NOT advertise ANYTHING on this blog again. 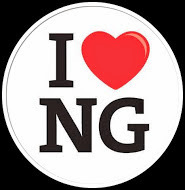 I know it's hard and you look for places to advertise as MUCH as you can because long ago I used to do it, too, back when I was able to work and able to do the things you are doing. I wish you the BEST!!! I really do! I am looking forward to the Nora Roberts book - hope you enjoy it! Nice haul! I am very interested in the Cleopatra book. I will have to find in on Amazon, perhaps? I also love anything related to ancient Egypt. I hope it is good. Congrats on getting so many reviews done. It does feel so good when you can write a bunch of posts and have them all scheduled up to go up automatically! Have a wonderful week of reading.